Coatings Can Fortify Your Current Roofing System Against Damage. 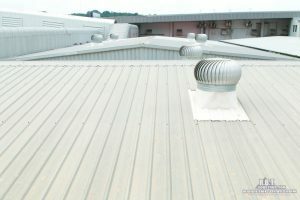 Your commercial roofing system plays an important role in the overall protection of your commercial property. It prevents storms and other environmental factors from affecting your property. To that effect, you want to make sure your property has the best defense for its needs. Adding roof coatings to your present commercial roof can improve its resistance to wear and give your property more benefits. Not sure if a roof coating is right for your building? Consider the following reasons many people choose roof coatings. It can increase the energy efficiency of your building. : Because roof coatings can be reflective, they can bounce UV rays away from your property. This keeps your property cool, reducing the amount of energy used by your AC. Your roof becomes easy to maintain. : Once applied, these roofing systems are far easier to repair and keep at its best, requiring only infrequent inspection and maintenance. It fortifies your roof against damage. : Your roof is designed to withstand damage from storms and the environment. Adding a roof coating gives your roof an additional layer of protection against potential damage. It can extend the life of your roofing system. : When applied, roof coatings are a seamless layer that ensures normally weak areas, like seams, seals, and gaps, are secured against potential damage. This means that your roof stays healthier and defended. R.B.T Construction Roofing Division is the one to call for your roofing service and roof coatings in Texarkana, TX. Our team is always available to work with you to find the best coating to meet your needs. Call 903-691-0931 today to get started! Posted in Uncategorized on July 19, 2018 at 2:25 pm by R.B.T. Construction Roofing Division.